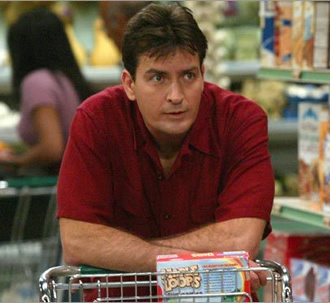 After a couple months of well-publicized contract negotiations, Charlie Sheen has signed a new contract to remain on Two and a Half Men. Does this mean that the TV show’s end is in sight? Currently in its seventh season, Two and a Half Men stars Sheen and Jon Cryer as Charlie and Alan Harper, two brothers living the single life together. The “Half Man” in the title doesn’t seem very appropriate anymore since it refers to Alan’s nearly full-grown son, Jake (Angus T. Jones). Conchata Ferrell, Holland Taylor, and Marin Hinkle also star. 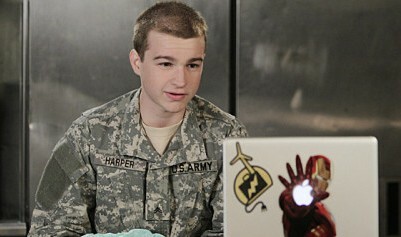 As the highest-rated sitcom on television right now, Two and a Half Men is a big money-maker for CBS. It also makes a lot of cash for the show’s studio, Warner Bros., from the network and syndication sales. They make so much from the show that they certainly don’t want it to end. And that means keeping the show’s star as happy as needed. Despite being the highest-paid sitcom star on television right now, Sheen wanted a pay raise when his contract came up for renegotiation. He currently makes about $900,000 per episode (including backend profits). The execs reportedly offered him $1 million an episode but Sheen countered with $2 million and made noise that he was considering leaving the show. Now, Sheen has made a new two year deal to stay with Two and a Half Men . Terms of the new deal were not made public but it’s believed that the actor is getting significantly more than what the studio initially offered. With Sheen in place for the next couple years, one has to wonder if the 2011-12 season will be the end of the show? If the ratings remain strong, CBS would likely want to keep it going. If the ratings decline, Sheen wants even more money, or if there are enough syndicated episodes, it might not make financial sense for it to continue. What do you think? How long can Two and a Half Men continue? What should be done once Jake becomes an adult? Follow him at college years or keep him at home? Two and a Half Men: CBS Teasing Charlie Harper Return for Finale? Jasan46 » Look at the date of this post. Sheen is not coming back to the show. Getting sick of the show — never watch it anymore cause you can PREDICT what is going to happen. Sickening how much money Sheen can make for it — he could feed Africa. I love the show. Please keep it coming!